The Quilietti/Donati connection start in Bargaa Italy and with the Brucciani sisters. The Brucciani sisters, one of whom was our own great great grandmother lived in the village of Barga. 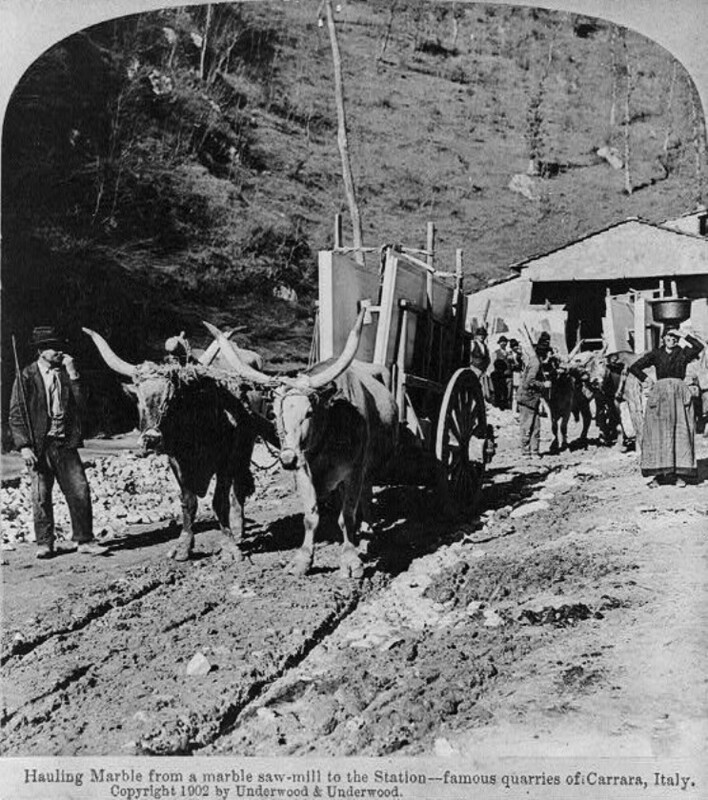 Our ancestor Eletta had a sister Maria Domenica who married Pietro Donati in Barga on 17th February 1873. Pietro’s trade was in the stucco. He was a master craftsman in marble and stucco as were many others from this region. The famous Carrera mines were nearby this region. About 60 kms far from Lucca, one of the most incredible landscapes in the world surprises visitors: the marble quarries on the Apuan Alps. Here you have the chance to explore a natural landscape among the most beautyful, but also to discover ancient traditions, small mountain villages and different ways of living. You may happen to meet some old quarry men, living in the marble quarries area since their birth, a kind of legenday figures telling mysterious tales and singing songs about this proud work. In the area of the Fantiscritti quarry, for example, one of these men created a small but fascinating open air museum, where it is possible to understand how hard, dangerous and, somehow, heroic, the quarry men life was in the past. Nowadays it is still a hard work, but everything has been changed by technology. While you visit the quarries, you can see men working all around and can listen to the noise of the stones falling down from the mountains walls. Carrara marble can be found in sculptures, columns and some architecture as well. Arguably its most famous use is on display in Michelangelo’s “David.” Carrara marble is used to produce many household features, including tiles, thresholds, countertops, vanity tops, table tops, stairs and walls. 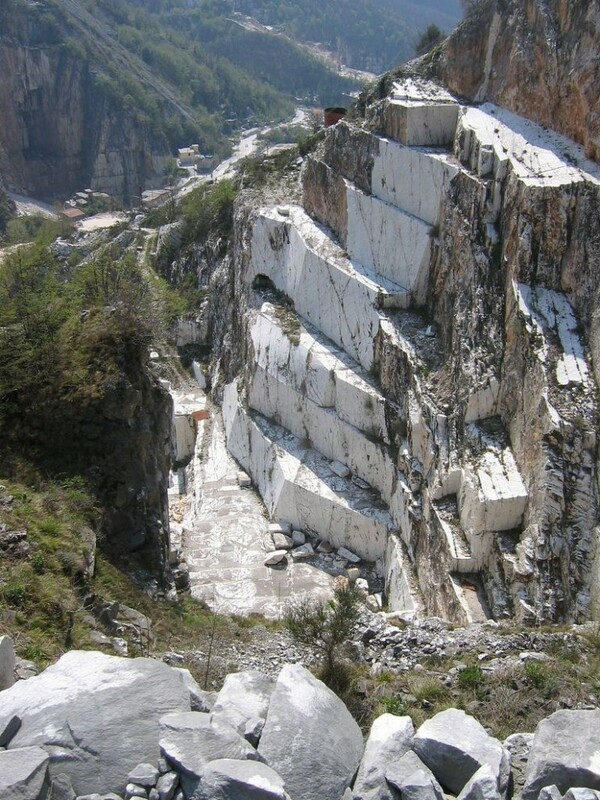 Since the Carrara quarry in Italy is one of the largest and oldest in the world, Carrara marble can be found virtually anywhere marble is used. Around about 1888 there was a great exodus from Italy of the great craftsmen of this marble. The small village saw nearly 80% of her population leave in search of work abroad, in the new world and also in Scotland. Pietro’s elder brother Gostini was the first of the family to emigrate to Scotland, arriving before 1881 with his wife Ermerlinda, his cousins and indeed our own family’s cousins of Raffaelo and Joseph Conti and another cousin Peter Pierotti. They were all Stucco Figure Maker’s and resided in the old town tenements at 9 Niddry Street, which runs behind the North Bridge and the Royal Mile and the Canongate. Pietro Donati left with his wife and young family also in the year 1887 arriving in Scotland’s capital. Their youngest daughter Annunziata had been born in Italy in 1886 so we therefore have a good idea of their arrival date. Before too long he found premises in the newly widened Chambers Street in the centre of the town and started off his business as Stucco Figure Manufacturers. Travelling with him from Italy were his nephews Emilio and Augusto Quilietti who worked with him for a few years plying their trade throughout the central belt of Scotland and selling their wares. Pietro was a master craftsman and would have managed very well in the new town with their ornate cornaces and centre pieces. It was a few years later that the Quilietti brothers established themselves in the new Ice Cream and Fish and Chip Shop Businesses which were springing up in Edinburgh at the time. Grandfather is Alberto Donati and from Barga, Italy. His father was Sabbatino Donati.